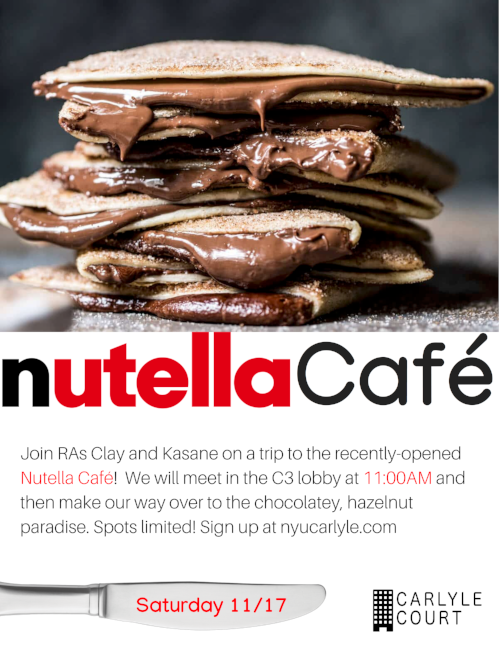 Join RAs Clay and Kasane on a trip to the recently-opened Nutella Café! We will be meeting in the C3 lobby on Saturday, November 17th at 11:00AM to head over to the chocolate-hazelnut paradise! Spots are limited, so sign up at NYUCarlyle.com soon!